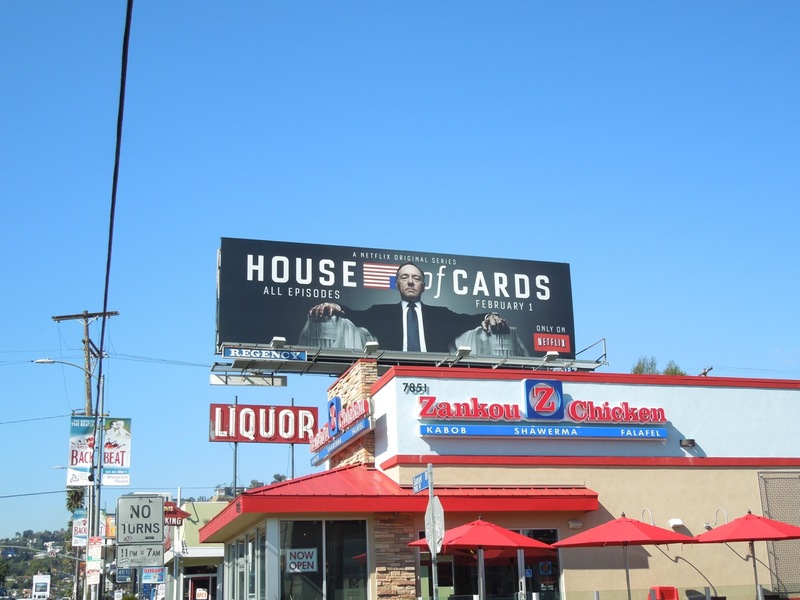 There are two very interesting things about these series premiere billboards for House of Cards. 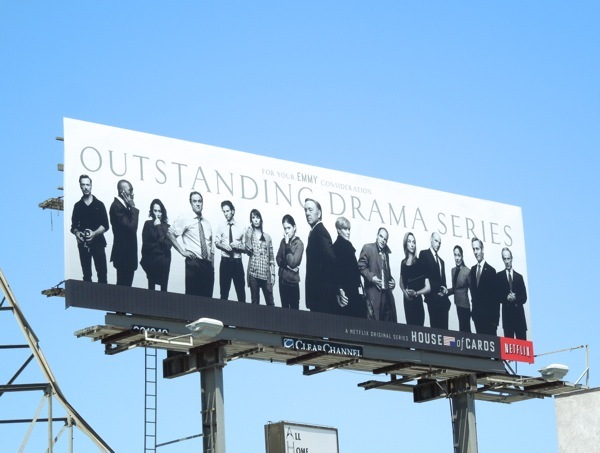 Firstly it marks the return of Kevin Spacey to the small screen and secondly is the way audiences consume TV shows from this point on. 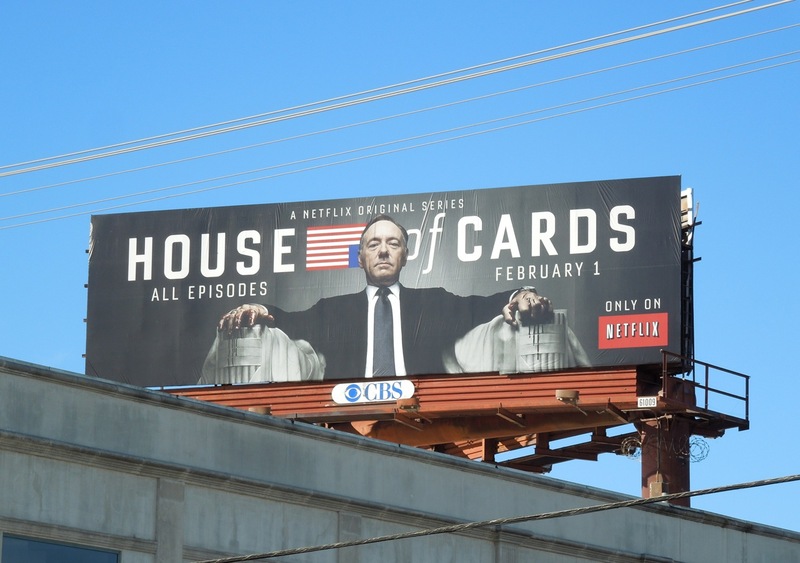 This political drama is the first show made exclusively for Netflix with all thirteen episodes available at once, to be enjoyed in one marathon binge-sitting, or at least without waiting another week to view the next installment, as has been the industry standard on primetime television for years. 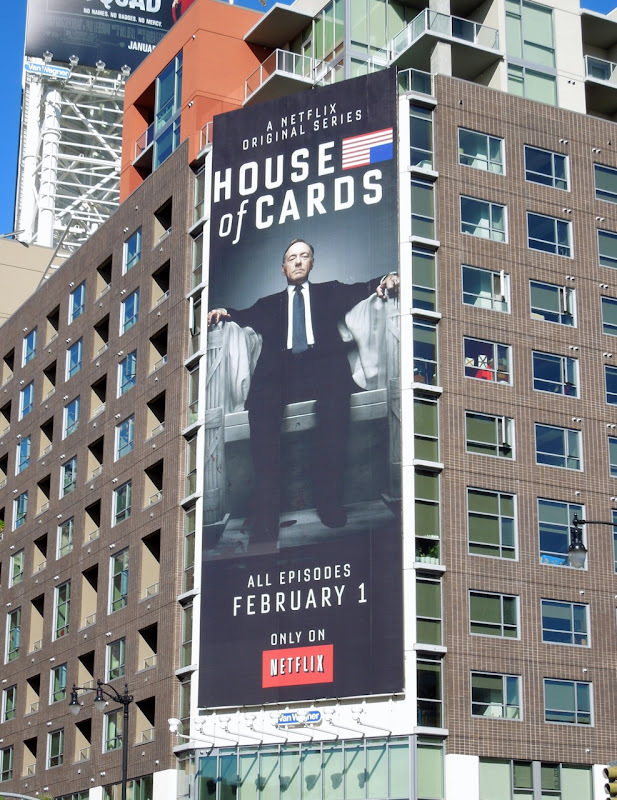 Adapted from the BBC TV series of the same name, Kevin Spacey's scheming politician breaks the fourth wall and speaks directly to the audience as he eyes the top spot in Washington D.C. (hence the ad creative's nice homage to the iconic President Abraham Lincoln statue). 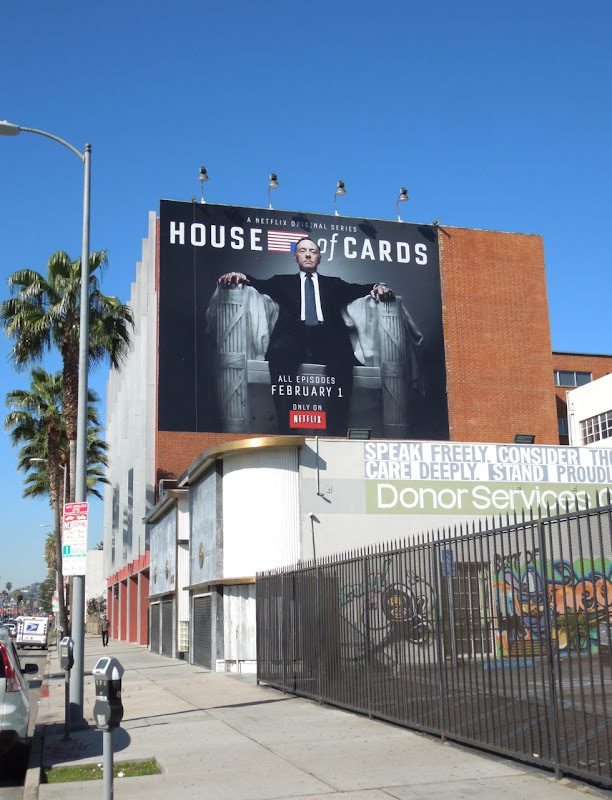 The super-sized vertical billboard for this original series was snapped at Sunset & Vine in Hollywood on January 28, whilst the standard landscape version was spotted above the corner of Beverly Boulevard and La Brea Avenue on February 3, 2013. 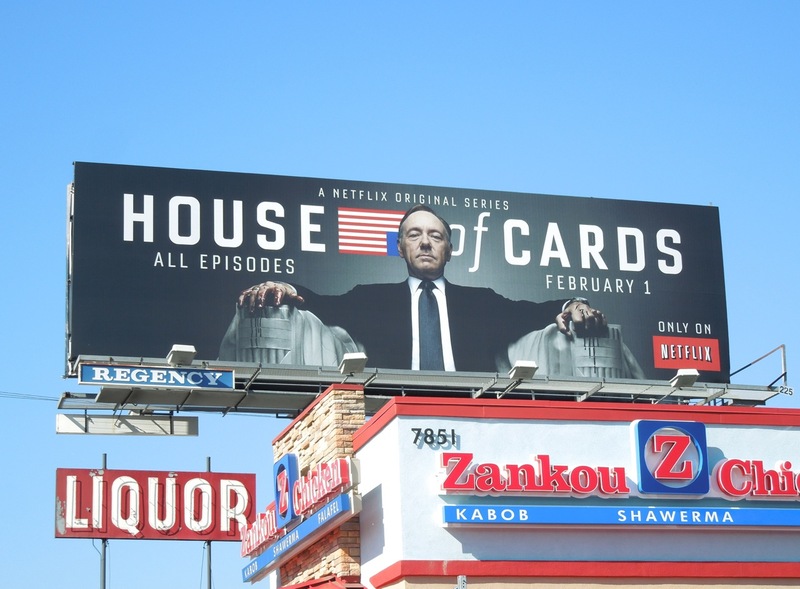 Will you watch House of Cards, and if so how will you watch it? 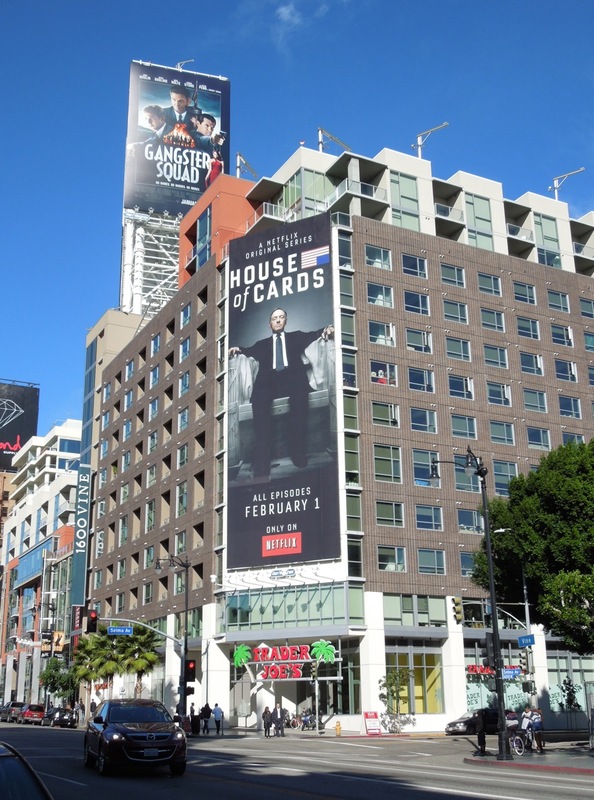 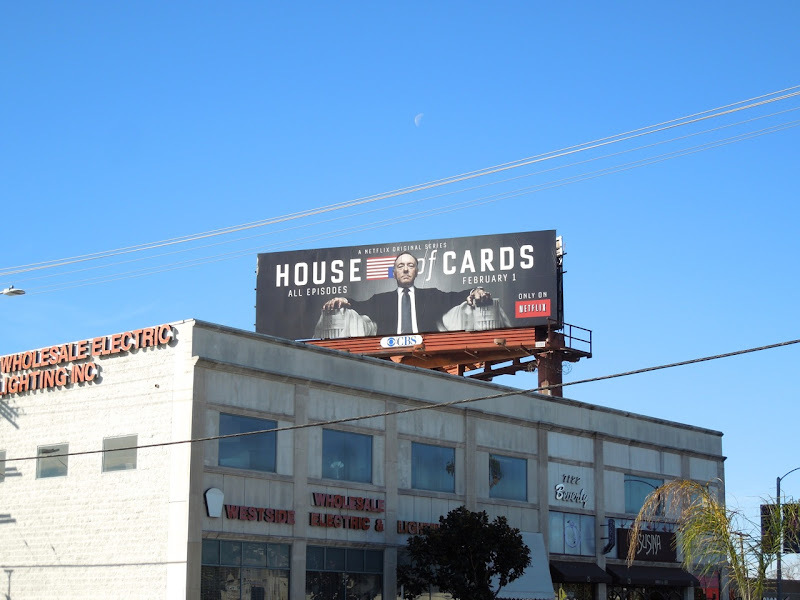 UPDATED: A whole raft of additional billboard support has sprung up around L.A. for House of Cards, including these ads along Sunset Boulevard spotted on February 9, 2013. 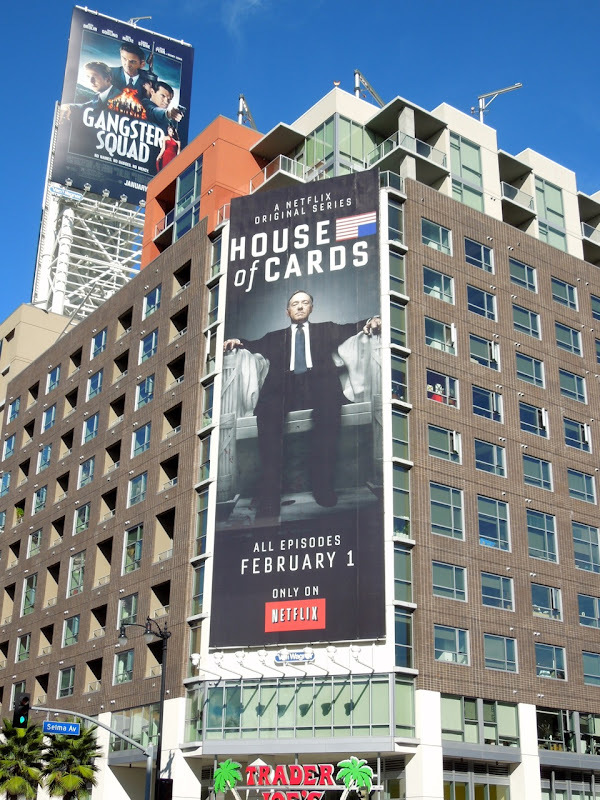 Only time will tell if Netflix subscription model will work for new TV shows, but in the meantime they are certainly showing heavyweight support for their new launch. 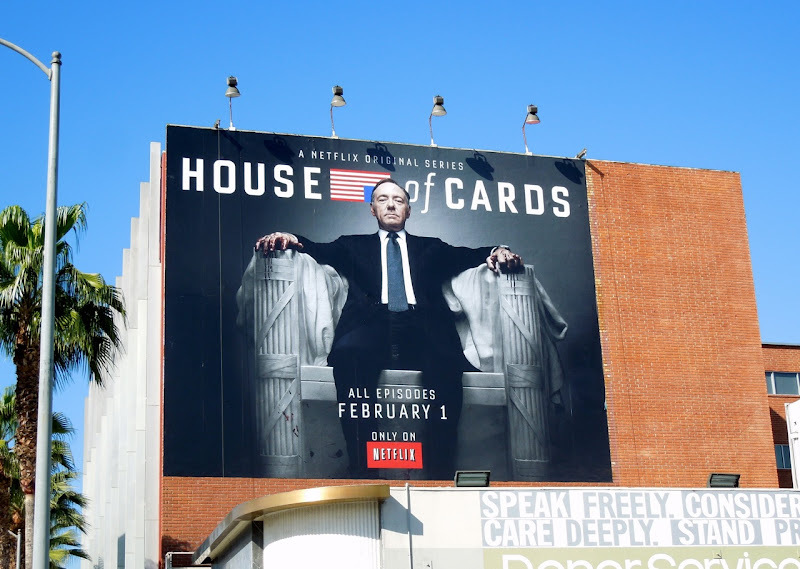 UPDATED: House of Cards certainly made a big splash for Netflix and garnered high praise for Kevin Spacey's return to television, but will it be an award winner? 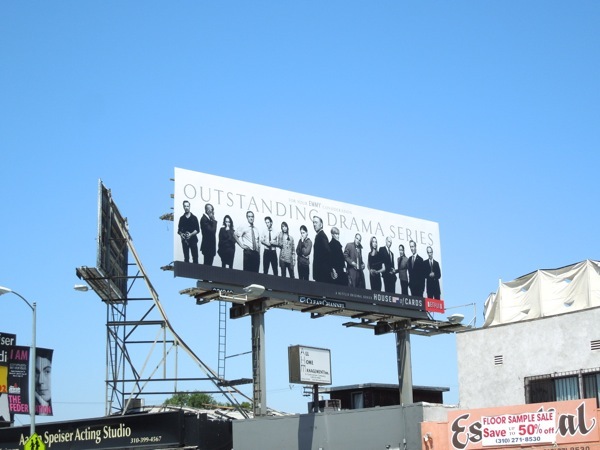 Here's Netflix Emmy Consideration billboard for the original series along La Cienega Boulevard on June 17, 2013.